Like many Orange County California residents, you may think that you’re going to need to have the old, damaged concrete removed and then reinstalled again. However, what you may not realize is professional concrete refinishing is the more affordable solution. 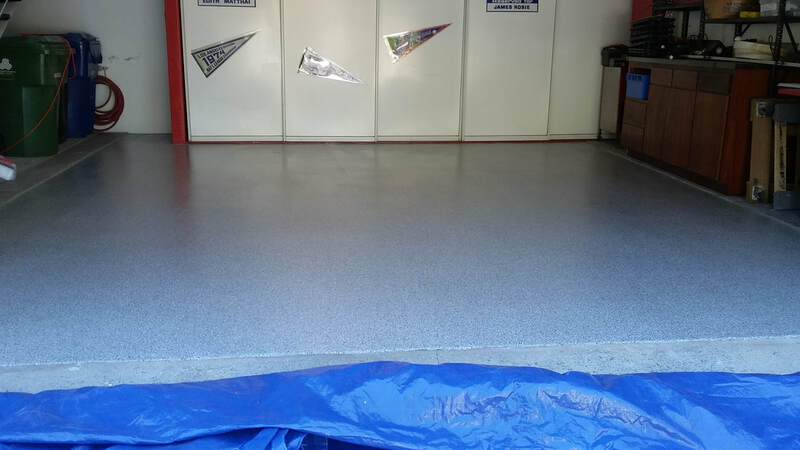 In addition to installing your best epoxy floors, Garage Floors 1 Day offers professional concrete refinishing as well. By repairing and resealing your concrete surfaces, you can eliminate the need for costly replacement services. Don’t rip out your broken concrete just yet. Let our staff has inspected it first. We do our best to save you money by resurfacing your areas instead. Over time, any concrete surface will start to crack, crumble, and require maintenance. If your concrete surface is cracking it is likely a candidate for resurfacing. How the process works is that our team begins by blasting away stains and contaminants with a pressure washer, as well as a cleaning solution. That will break down any lingering oils or fluids, allowing us a much better quality of installation. We then patch over any significant areas of damage, allowing it to cure before we continue. Finally, the resurfacing compound gets poured over the existing concrete, helping it bind tighter together and seals it away from moisture. Once completed, your concrete spaces are now better protected against moisture, and your impact resistance will return to like-new condition. When you need a way of maintaining your concrete surfaces without replacing, call us today for your best resurfacing services. A typical concrete surface can last about two decades before developing significant maintenance concerns. At that point, you have options for repairs, replacements, and new installations. Choosing the expensive route of an entirely new concrete pour will last the longest, but it is not the convenient choice for many. A professionally resurfaced concrete surface, on the other hand, can provide you another decade of use. When you need to avoid expensive new concrete pours, our team achieves the best quality possible for your project each time. Contact us for your best concrete resurfacing today. ​Homeowners throughout Orange County know that we remain the fast, affordable, and mot trustworthy choice in complete concrete resurfacing needs. We provide experienced technicians and years of professional quality that you can rely on for your home. Let us help save on your maintenance needs. Call Garage Floors 1 Day now for your best concrete resurfacing.